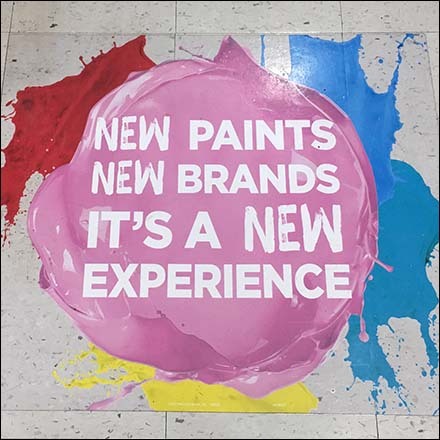 Not house paint, this New Paints, New Experience Floor Graphic announces expanded artist paint offerings in crafts. And shaped like dabs on an artists pallet the New Paints, New Experience Floor Graphic is fitting for use. Colorful too. This traffic stopping graphic seen at Michaels Crafts.